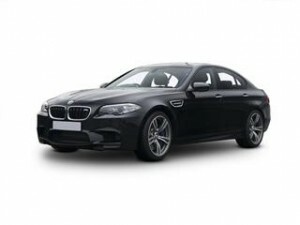 Executive Saloon looks with sports car performance and handling the M5 is all things to everyone. Bearing the classic M badge (M for Motorsport) you can be sure what’s underneath the sleek outline is not standard in anyway. Race inspired engines turbo charged provide more power then you will likely need. BMW’S focus on performance is apparent everywhere you look on the M5. Acceleration is as impressive as you would expect from the BMW M Range, 0-62mph in just 4.3 seconds. Fuel economy will never with any rewards yet BMW have managed to see a return on extra urban drives of up to 37.2mpg. The engine that delivers all this power is the M TwinPower Turbo V8 petrol engine which propel the M5 Saloon effortlessly with that classic BMW M5 sound. All this power wouldn’t be possible without all the leading technology that comes as standard from BMW. Too much to mention here but for example a 10.2 inch central console screen, iDrive, Enhanced Bluetooth with voice control, Comfort Go, Adaptive headlights and a whole lot more. Before you go direct to the BMW dealer for your new M5 you could save thousands with us via our network of dealers, some who have access to great deals on the new M5, saving you thousands on the car of your choice with the spec of your choice. Simply choose your desired spec on our online form and see how much you could save.